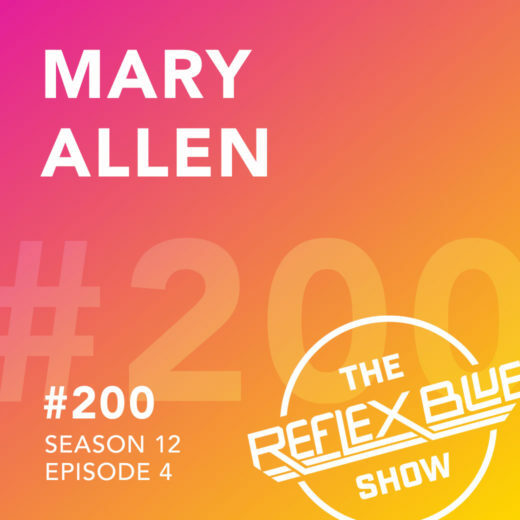 Mary Allen returns to The Reflex Blue Show to talk about mental health awareness, and her greeting cards for those who want a way to explain their mental health issue. We also speak about living walls, environmental design, and more. When we started interviewing guests just a few months in on the BADCast, we thought it’d be fun to ask like 5 stupid / crazy / weird questions to the guest, and Tom Nemitz named it “The Reflex Blue Round”. I liked it because it was a quick question / answer thing, as well as Reflex Blue being the color of my alma mater (I am not sure if it still is, they have re-branded a few times since). Anyway, The Reflex Blue Show got it’s name from there for anyone who wondered… here’s to another 200 (329? )!